My research is in the area of computer networks, with particular emphasis on wireless networks and systems. My research goal is to design, analyze, and build wireless networks, systems, platforms, and protocols that handle the required capacity, reliability, and security of next generation computer networks and connected devices. I routinely use mathematical tools from varied disciplines such as game theory, optimization theory, and statistics in my research. I have also extensive experience in building wireless platforms and implementing network protocols in programmable hardware. Some examples of my research projects are highlighted below. Distributed artificial intelligence and machine learning at network edge is becoming increaing popular as training data (e.g., video surveillance data, crowdsourced data, augmented and virtul reality video data) is typically located at the network edge. Transferring this data to the cloud for the purpose of data analytics or trainig machine learning models incurs significant communication and monetary costs, processing delays, and privacy concerns. Thus, there is a strong motivation to use wireless edge for the purpose of AI and ML. The emergence of 5G/5G+ also provies ubiquity, which can be used for low latency edge computing. My research in this area addresses a variety of challenges (tradeoffs in communications, computation, network economics, security, and privacy) to enable distributed edge AI and ML over wireless. 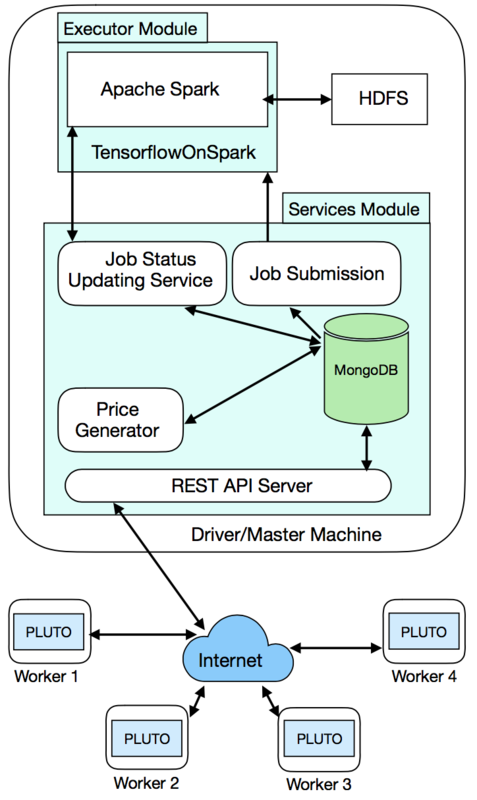 In our first published work in this area (ECOFEC 2019), we presented the design of a software framework called DeepMarket that creates a marketplace for edge AI and ML. DeepMarket is akin to an operating system for the network edge, and gives users the flexibility to lend their spare computing resources or borrow computational resources to train their ML model. The software framework is particularly geared towards edge AI and ML. We are currently in the process of releasing a stable version of the software. For latest information about the project, refer to the DeepMarket project webpage. MmWave communication is an emerging technology to increase the wireless capacity (due to large bandwidths that are available in mmWave bands). It is a key feature of IEEE 802.11 ad/ay and 5G New Radio (NR). I started working on mmWave communication upon joining Intel. 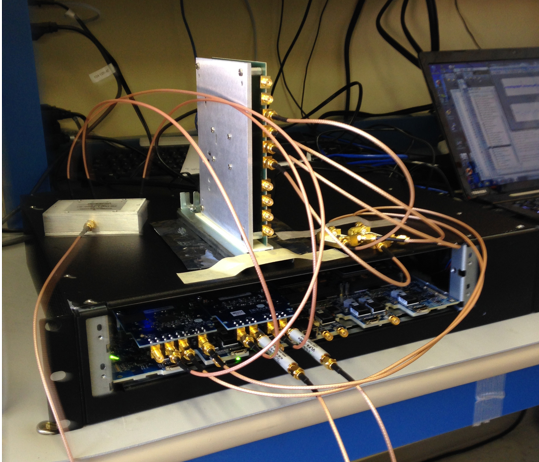 Our team at Intel was responsible for developing a full-stack spec for 40GHz+ spectrum. 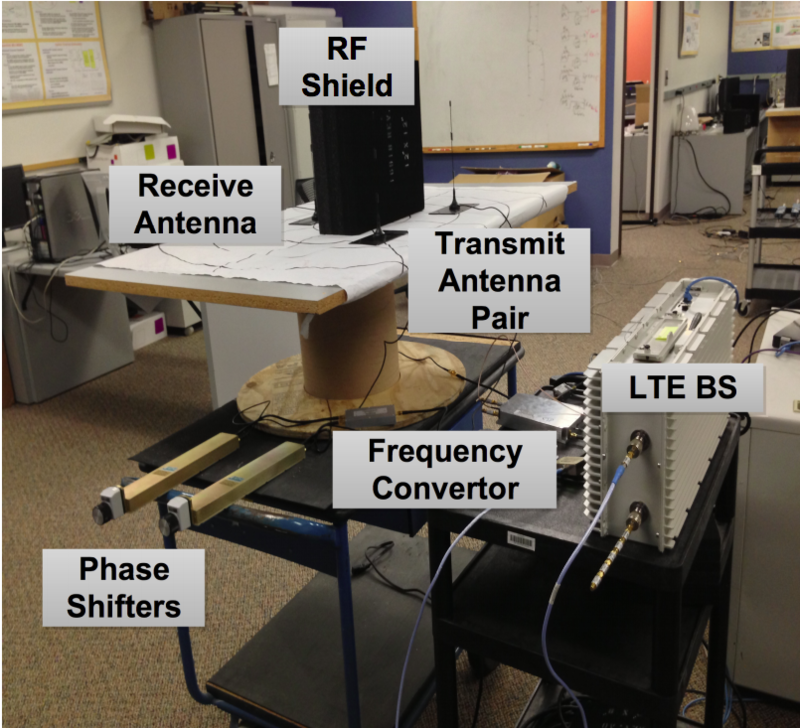 I contributed to the development of calibrated link-level and system-level mmWave simulators, incorporated a variety of standard features in the simulator, and ensured their correctness against standard benchmarks. In addition to the simulator development, I helped with the platform design, contributed to various aspects of the spec, developed serveral patents (20+) and intellectual property for Intel, and trasferred the results to the standards team for potential adoption by the 3GPP. In parallel, I worked with a group of faculty and students at Tampere University of Technology (in Finland) to study the impact of blockage (particularly human blockage) on mmWave cellular performance. Our first academic paper in this area (TVT 2017) characterized the impact of human blockage on mmWave cellular capacity. Heterogeneous networks (HetNets) have recently emerged as the de-facto networking architecture to address the capacity and service demand of next generation 5G networks. The architecture comprises a hierarchy of 3GPP (Third Generation Partnership Project) LTE macro cells for ubiquitous coverage, and small cells of various sizes (e.g., micro, pico, femto) and across different radio technologies (e.g., LTE, WiFi, WiGig, 5G mmWave) to augment the capacity. To realize the gains associated with HetNets, consumer devices are also increasingly being equipped with multiple radio access technologies (RATs), and some are already capable of simultaneously utilizing various radio transceivers. My research in this area addresses the problem of client-network pairing for optimal network utilization. In particular, we developed several game theoretical models for network selection and analyzed the convergence and optimality properties of client-centric network selection (INFOCOM 2013 and INFOCOM 2015). Later, we looked at the problem when clients have the capability to split their traffic to/from the network (ICDCS 2017). Existing wireless devices operate in half-duplex mode, which means transmission and reception happen at different times or on different frequency bands. 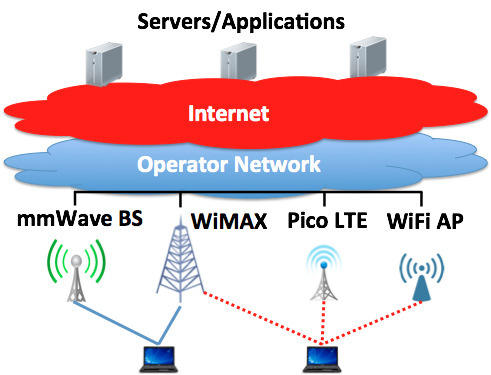 Full-duplex operation refers to same-frequency and simultaneous transmission-reception of wireless signals by a radio, which has traditionally assumed to be not possible. The key challenge to FD operation is self-interference, which means the transmission of wireless signals by a radio creates significant interference to its incoming signals. Recent works in this area have shown that it is feasible to cancel self-interference and build full-duplex wireless radios. 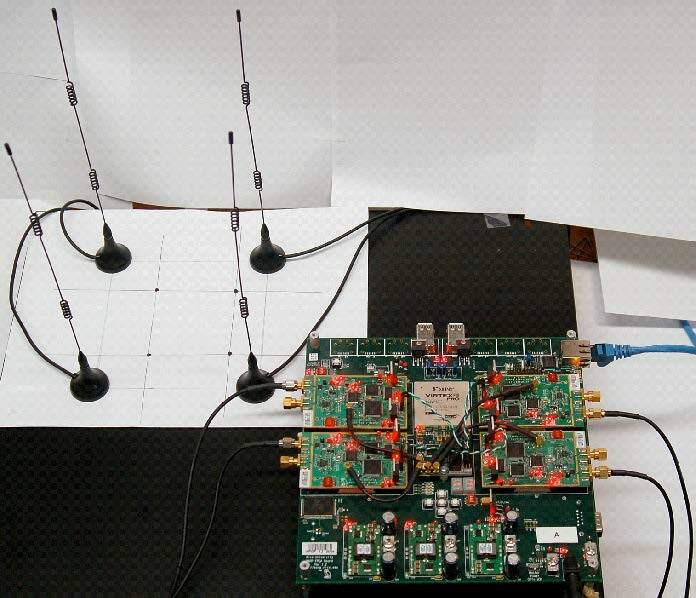 In my research in this area, I have introduced several radio designs to enable full-duplex for both MIMO systems (MOBICOM 2012) and many-antenna phased array systems (INFOCOM 2018). However, FD operation also increases the network-wide interference, which necessiates the design of algorithms and methods to manage FD-induced interference (INFOCOM 2015). Besides doubling the spectral efficiency, FD can also significantly enhance the performance of higher layer protocols. I have patented more than 10 ideas that leverage FD to enhance higher layer protocol performance. Advanced multi-antenna techniques are one of the core wireless technologies that promise to significantly boost the spectral efficiency and performance of all next generation wireless technologies. Although a significant amount of research in the physical layer community has focused on theoretical capacity analysis, little is known about integrating such techniques with higher layer network protocols, and their performance in practice. My research in this area bridges the gap between the physical layer and networking communities by introducing a series of system designs on how to integrate and leverage these techniques at the MAC and higher network layers. Through rigorous implementation and experimental evaluation, my research identifies and addresses several important challenges to realize these techniques in practice and provides a deep understanding of the limitations and gains of such systems when applied in the real world. In particular, we designed and implemented the first multi-user beamforming system that significantly increases the unicast capacity of wireless networks (MOBICOM 2010). Multi-User beamforming is now a key feature of IEEE 802.11ac and 802.11ax. Later, we introduced a new wireless system that uses multiantenna techniques to enhance multicasting performance (INFOCOM 2011). Mesh networks provide high-bandwidth wireless access over large coverage areas with substantially reduced deployment cost as compared to other broadband alternatives. Mesh networks are increasingly deployed in urban areas to offload cellular traffic or in rural areas to enable broadband Internet with low cost. As part of our research on mesh networks, we deployed a large-scale multi-tier mesh network (named as “TFA network”) in one of Houstonʼs most economically disadvantaged neighborhoods. Despite the significant benefits associated with mesh networks, issues such as unfairness, low capacity, and unreliability pose significant challenges to their operation in practice. My research in this area combines a deep understanding of deployed and operational mesh networks—learned through deployment and network measurement—with rigorous analysis to design protocols and systems that substantially improve mesh network performance and reliability. Using this approach, we designed a low-cost mesh architecture that substantially increases the capacity (INFOCOM 2008). We also identified and modeled the origins of performance unpredictability in operational mesh networks (INFOCOM 2010), and designed MAC solutions that provide guaranteed fairness (INFOCOM 2009).